Permanent alimony is just that – permanent. When married couples divorce, courts may order one spouse to pay the other alimony until the receiving spouse dies or gets remarried or enters into a supportive relationship. If that seems unfair, consider that permanent alimony may be terminated or modified in Florida under certain circumstances. Alimony is meant to help the receiving spouse cover their need’s and is often awarded to people who are unable to cover those needs. Florida courts consider the individual circumstances of each case when awarding or modifying permanent alimony and safeguard spouses from abuse. Permanent alimony is awarded to provide the receiving spouse funds to pay for costs of living that was established during the marriage. This form of alimony is often awarded to a spouse that lacks the financial ability the meet those costs on their own after divorce. For example, the receiving spouse may have a disability that prevents him or her from working. Courts may award permanent alimony to a spouse following a moderate duration marriage between seven and 17 years if the receiving spouse can prove these factors by clear and convincing evidence. Permanent alimony is rarely awarded for short duration marriages, which last less than seven years. To receive permanent alimony following a short duration marriage, the receiving spouse must present evidence of exceptional circumstances. In addition, the court must determine that no other form of alimony is fair and reasonable under the circumstances. Permanent alimony automatically terminates under two conditions. First, the obligation to pay permanent alimony ends if either the receiving spouse or the paying spouse dies. Second, permanent alimony will also terminate upon the remarriage of the receiving spouse. Even if permanent alimony is not terminated by death or remarriage, paying spouses can modify alimony awards if either ex-spouse experiences a substantial change in circumstances. For example, modifications may be allowed if the receiving spouse gets a substantial inheritance, wins the lottery, or receives a valuable gift or a large pay raise. Modifications may also be granted if the paying spouse retires, experiences long-term unemployment, or exhibits an involuntary decreased ability to pay alimony. In addition, alimony awards may be modified if the receiving spouse generates more income than the paying spouse. 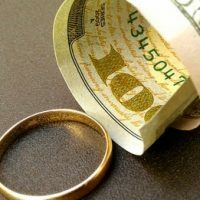 Under Florida law, permanent alimony is prohibited when the receiving spouse’s income, including the receipt of alimony, exceeds the income of the paying spouse. Florida courts may terminate permanent alimony if the receiving spouse is in a “supportive relationship.” In most cases, a supportive relationship exists when the receiving spouse is cohabitating with another adult who is covering essential expenses. State lawmakers left this term intentionally vague, and courts will look into each specific relationship to determine the extent of the support provided to the receiving spouse. If you have questions about permanent alimony and other forms of alimony, you can contact our family law attorneys at Arwani Law Firm ,. We have handled complicated high conflict divorces, and we are confident that our team can provide you with the legal assistance and attention that your case requires.